Big Bear is a beautiful place that, without fail, provides the most fulfilling vacation experience you will find anywhere. Much of this stems from the fact that it is simply one of the most beautiful places you will ever visit, with an outrageous helping of amazing activities that are constantly available for visitors to take advantage of. There are also some awesome establishments that are completely unique to Big Bear. One of the establishments is charmingly named Home of the Hangover. When this endeavor began, the owners Joe and Ashley had a very simple goal in providing the absolute best selection of craft beer throughout all of Big Bear. Today, it is easy to see that they accomplished this goal and so much more. If there is a beer that you like, odds are you can find it here, no matter how obscure it is. There is beer from all over the world along with one of the most rare and large selections of whiskey and scotch. You can find this awesome place at 42074 Big Bear Blvd. After one visit, it is sure to become your go-to place for Big Bear beer and more. What’s more, you can enjoy their services and selection without even leaving the comfort of home, as they provide delivery services on orders of $40 or more. So RELAX! You can get all of the best Big Bear beer around, but if you do not have an amazing place to enjoy it, it does not really cultivate the enjoyable times that you are looking for. 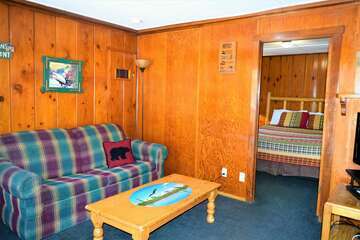 That is where Big Bear Cabins comes in. 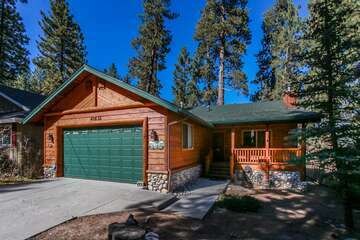 Here, you will find the absolute best selection of Big Bear homes and cabins available for rent for you vacation. While there are homes for every budget and occasion, you can be sure that they each provide a cozy place to stay with many features providing luxury and convenience. 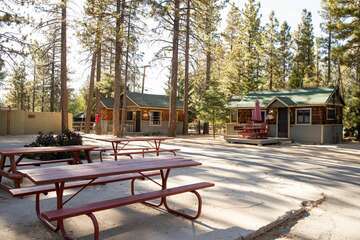 You are guaranteed to find a perfect place to call home during your Big Bear adventures when you choose the services of Big Bear Cabins. It is as simple as calling (877) 473-5360. Home of the Hangover is a great resource when it comes to getting the most out of the time you spend in this beautiful town. But there is virtually no way that you can experience a vacation here without having an amazing time in this unique town. Plan your next trip here and discover your new favorite vacation destination.